A C-Note for my favorite barista! Today, my C-Note recipient is Kevin, who works at my local Starbucks at 3901 Peachtree Road (And guess what? It just happens to be his birthday – kismet!!). Now admittedly, I am a total coffee achiever/addict. I wrote my second book at Starbucks, fueled by venti half-caffs, no room. And this blog adventure is taking shape in my same little corner of heaven: the third table in the back, jammed up against the wall, with a handy outlet. Although all the Starbucks baristas are adorable, Kevin is my favorite — a tall, handsome, quiet guy who always has a smile on his face, knows all the regulars’ names, and has their specific coffee order made up by the time they’ve staggered out of their car and into the store. His is the happy, welcoming face you’re looking for in the morning –especially after your kids have once again gone ballistic over your pathetically healthy refusal to purchase Cap’n Crunch cereal and your mate has once again gone off to work without even attempting to make the bed or kiss you goodbye. Kevin gets to work at 4:30 a.m., seems to be in perpetual motion, and keeps his cool even when the line is out the door. 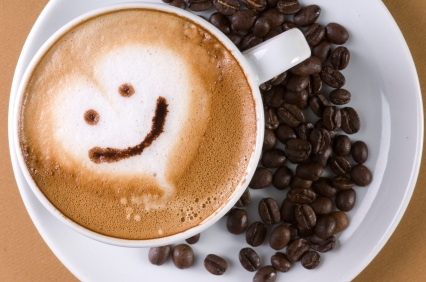 As he hands you your precious cup of joe, he never fails to wish you a good day, and until a week ago, always had a twinkle in his eye. But on December 27, his 78-year-old grandmother died, and that’s put a damper on his spirits. She lived in Richmond Virginia, was married for 59 years and raised 10 children, 40 grandchildren and 80 great-grandchildren. He misses her a lot. Kevin is an aspiring actor and screenwriter (he had a role in We Are Marshall, where he also played football) and I’m pretty sure he’s on his way to being totally famous. 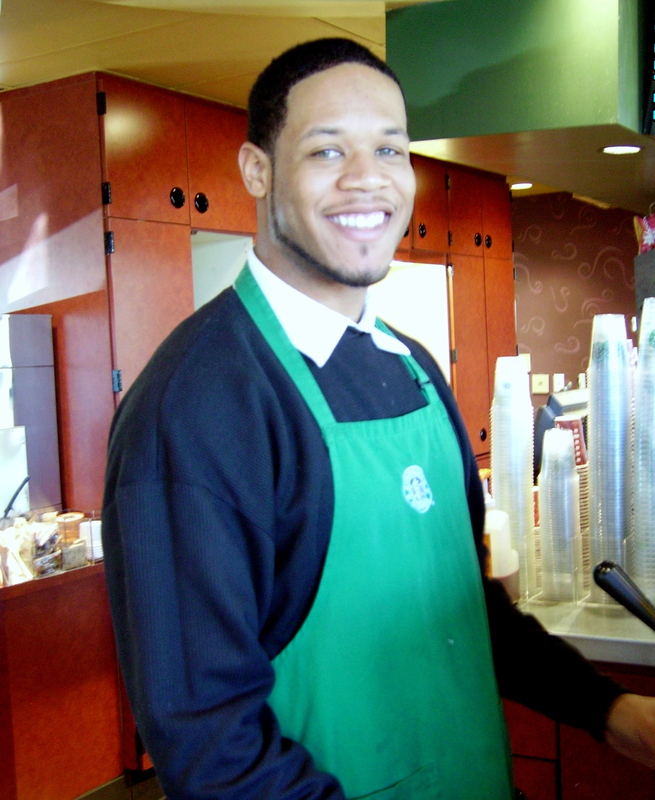 But until he becomes a star, he’s committed to being the best barista at Starbucks and says without a hint of cynicism, “I believe if you work hard, you will receive the fruits of your labor.” And “I could do things I don’t believe in, but I want to portray a positive image of what’s good.” Somebody raised this child up right – and I’m willing to bet it had a lot to do with his grandmother. So Kevin, for everything you do to make everybody else’s day a little brighter, this C-note’s for you. Happy 27th Birthday!! What a wonderful thing to do. I love the profile, it really shows how much you appreciate Kevin. But also, it gives a great human being valuable acknowledgment for a job well done. We all need to be given a thumbs up from time to time. Oh, and Happy Birthday Kevin! This almost brought me to tears. Is it simply pregnancy hormones?! I think I miss his grandmother!